I think I've always had a weight problem. I was active enough as a teen and young adult to keep the pounds in range. But when I started having kids, I put on weight with each one. In 2001, and 230 lbs., I'd finally had enough and opted for Gastric Bypass Surgery so I would never have to think about being fat ever again and yes, I'm using the word FAT. I like to eat though, and only ended up losing a total of 35 lbs. with gastric bypass. Don't get me wrong, if you do it right, you MIGHT not have the same results I had, but a little dixie cup size meal was just not enough food for me. I would cry and be angry at every gathering of people and food. Let's just say eating was a big part of my life, so much so that it had intertwined into every facet of my life and giving up food felt like giving up myself somehow. Then, at the beginning of this year, I found myself in a new category of FAT people. The Type II Diabetics with insulin resistance. Luckily I found a terrific Doc who prescribed a couple of really good medications that my body HATED with a passion. Metformin gave me the worst headaches EVER and Farxiga made my kidneys ache for days. And on top of that, my husband retired and chose a medical plan that no longer covered the cost of prescriptions. I knew I was going to have to do something about these medications or my diet. Oh, did I mention that Farxiga is about $400 a month. Yeah, I think you'd do something about your diet too! That's when I found the Ketogenic diet, much like the old Adkins diet where the focus is on a very small amount of carbohydrates, a medium amount of proteins and a large amount of fats each day. How could this ever work? But work it does! My blood sugar was balanced in a short two weeks WITHOUT BEING ON ANY MEDICATION WHATSOEVER. And one of the best things is the effortless weight loss and increased energy. I'm walking all over the place! The meals are plentiful, I don't feel hungry or have cravings and using the SparkPeople.com website, I'm able to hone in my macros everyday and get support from other keto-ers. Confession: I started my plan on June 13, 2017, and each month, I will be letting you know of my progress. I started at almost 220 and today my weight is 201. Not bad for just a couple of weeks. Now the weight is coming off much slower but it is still going down. I didn't like the way I looked or felt but I knew it was necessary to document this loss with pictures, and I do use a scale and yes, I measure my body once a month. After a couple of weeks of being on the program, I started thinking how much dieting, cleaning the clutter and budgeting are really all alike. And maybe people who have difficulty in one of those areas, would also be susceptible to having difficulty in the others because they are very similar. I'm speaking for myself here. I tend to be a bit of a hoarder. So you see, EXCESS clutter is in my life. EXCESS weight is in my life. As I'm losing weight, I also feel the need to address and cut out those things that are preventing me from living the carefree life I was meant to live. This sorting out and shedding things and weight, spreads out and you feel lighter and lighter as the process goes forward. Over the next few days, I will be covering 10 ideas to help you focus on Living On Less.... weight that is. And as you lose weight, maybe you will do a refining of other things in your life as I am. HAVE A PLAN To reach any destination, there has to be a starting point and an ending point. You have to know the Where's, Why's, What's, and How's. 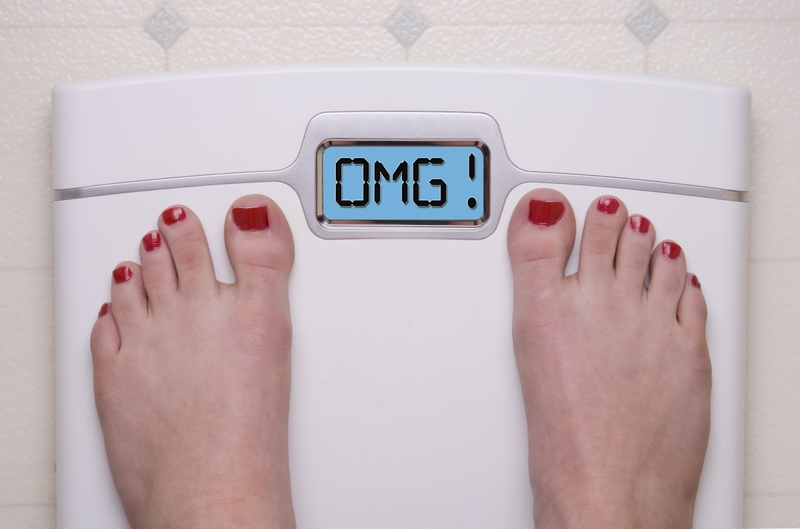 How much weight do you want to lose? How long are you giving yourself to lose it? What are you going to do to have a successful journey with the fewest mess ups? What diet plan do you want to use to lose the weight? Look up how to set SMART goals with this link and it will help you refine your plan with very specific steps. YOU HAVE TO STICK TO THE PLAN OVER TIME If you are like me and have a lot of weight to lose, you will need to recognize this isn't going to happen overnight. It's going to take weeks, months, maybe even years to achieve those goals. Dieting is not just done for a period of time and then you are free to eat whatever you want. For most of those that are as obese as I am, it is going to have to be a total change to the way I eat... forever. And during this extended time, you will need to be 100%, seriously committed to the plan you made in step 1. DON'T GIVE UP I see more people who think one little mess up is worth throwing in the towel. Own it, count those calories and MOVE ON. Keep a journal and come up with ways so that doesn't happen again. Pre-package snacks that are grab and go. First thing in the morning, pack your lunch and have your dinner ready to go. Don't fall into the "poor me, I messed up again, I'm just going to give up mode." DON'T GIVE UP! It's much easier to fix things when you only messed up a snack or meal than when you have gone weeks with no correction to your diet. You don't remember this but you used to fall down a LOT.... when you were a baby. What if at that stage you just gave up and never tried to walk again? Or maybe it was riding a bike those first times. But the more times you did it, the better you got at it. Same with dieting, budgeting and cleaning out your house. Own up to what you did wrong, what caused the slip and what you could have done differently. Then the next time you find yourself in that same situation, you can use your own advice to sail right through the temptation. Come on back tomorrow and I'll be posting a few more of my ideas for you think on and use.